The dots seem to be spinning when they actually aren't. The squares are the same shade of grey. 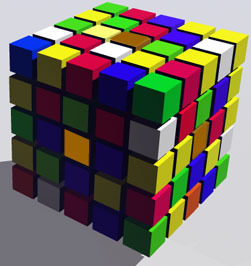 The middle orange square in front is the same color as the middle brown square on top. The green spirals and the blue spirals are actually the same color. 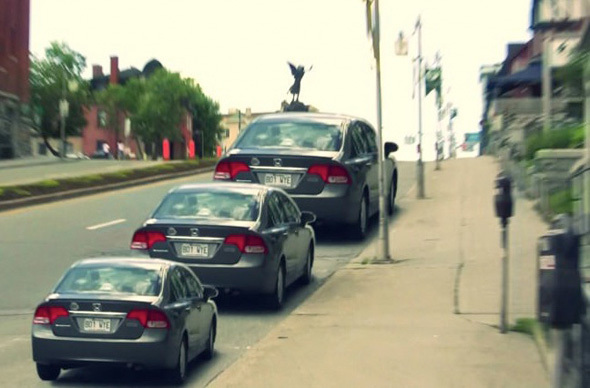 The three cars are the same size. 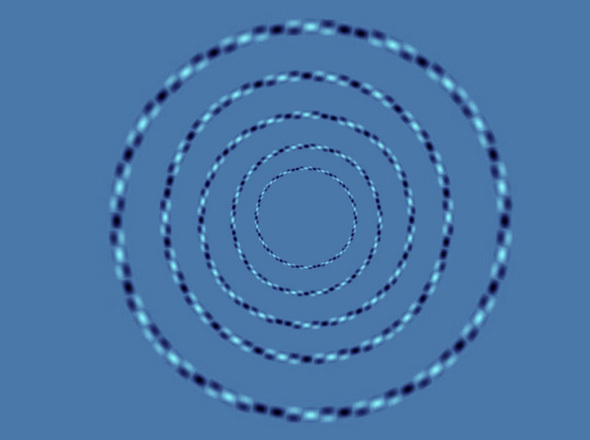 Which direction are the striped dots circling? Is the train going into or coming out of the tunnel? The spokes are not rotating. The blue shape never moves. (10-20-2013, 07:32 AM)SkinnyP Wrote: Is the train going into or coming out of the tunnel? ^^Can't quite get my head round that one, it appears to be moving in both directions, which of course it isn't. 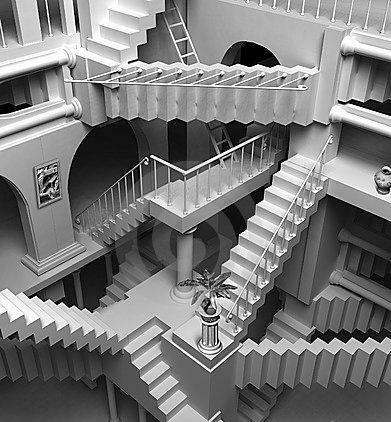 This one is called upside-down stairs, and the idea is that you stare at it for a bit, thinking the stairs go up, but then your brain flips the perspective so it looks like they're going downwards. 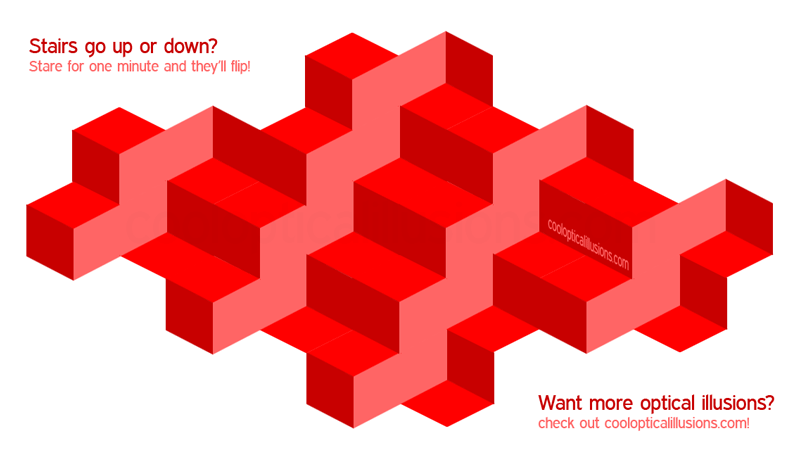 The illusion shows how hard it is for our brains to interpret an object as 2 things at once. I'm not going to embed these optical illusion gifs because it means I'd be seeing them while I upload them... and they're just too much for my eyes. Ow. looks like the how i met your mother guy. (02-26-2014, 06:19 PM)bob5695 Wrote: looks like the how i met your mother guy. Doogie Houser, MD??? What's his name? Patrick Neil Harris? Is that who you see? (02-26-2014, 06:28 PM)LZA Wrote: Doogie Houser, MD??? What's his name? Patrick Neil Harris? Is that who you see? If you have a laptop there's no need to shake your head. Just tilt the screen back and say Hello to Doogie.